Currently 658 visitors online at SuggestADoctor.com. Dr Krivak is an extraordinary physician whose heart and compassion for his patients is equally as impressive as his skills. He goes above and beyond to assure all questions and concerns are addressed to the patient’s satisfaction personally. His attention to detail is second to none. I guarantee this physician will exceed your wildest expectations. You will immediately feel safe and secure after meeting him for the first time. He truly is gifted but yet humble. The world needs more physiciansand surgeons like him! This doctor is simply amazing - I am allergic to anesthesia and he is proactive in helping me avoid having to use anesthetic for skin cancer removals. He always make me feel so at ease and comfortable knowing I am in good hands! Is this Review about George F DOBO helpful to you? Is this Review about Candice LEWIS helpful to you? After going to numerous doctors, dr. Krueger called and got all actual reports and images and compared them. She does not do cookie cutter medicine and her diagnosis and treatment was outstanding. Dr. Iromloo is very precise and matter of fact. I have been his patient for a few years now. He tried other plans before my total vaginal hysterectomy. Before Steve he calmed me by making me laugh. Is this Review about Michael IROMLOO helpful to you? After being referred to him, he and his staff have been extremely helpful through my process. He has the best beside manner of any doctor I have ever encountered and am so pleased to refer him to anyone I know. Is this Review about Carlton Lee LYONS helpful to you? Efficient, pleasant, instilled confidence in his opinions. Dr. Mahan has a great way of explaining things. It's straight forward and clear. She really listens and respects my opinion about my body. She has been my doctor for 2 years and just recently did my LAVH with total removal of everything. I really appreciated that she made sure everything and everyone was on the same page about what I wanted from this surgery. She doesn't try to sell me on things I have no interest in. She makes me feel respected and cared about. Just makes me smile. I trusted her immediately. Not often do doctors do that for me. Is this Review about Marilyn Marie MAHAN helpful to you? Dr Marley Kercher was HIGHLY recommended to me by my Primary Care Provider. Upon my first visit with her, I knew she was the physician for me. She made me feel comfortable, calm and she actively listened to me. She was very professional, trustworthy and caring. I had already made up my mind to have the following procedure, it was just a matter of finding the right physician to perform it, and that I did with her. Procedure: Laparoscopic Total Hysterectomy Bilateral Salpingoophorectomy (Date of Surgery 05/2012) Dr Marley Kercher is a Obstetrician/Gynecologist with Women's Care of Wisconsin. The procedure and after care went very well and to this day, I still appreciate all she has done for me. Is this Review about Marley KERCHER helpful to you? Dr. Carney performed my hysterectomy and provided amazing care. She was available when I had questions and follow up routinely on my recovery. She is wonderful!! Is this Review about Michele Coleen CARNEY helpful to you? My wife was a recent patient for an extended stay at Abington Hospital. She developed a whole host of medical problems and was seen by medical doctors of all specialties. . the care and treatment by dr. Frances Clark stood above and beyond all of the rest. And his follow-through was impeccable. my entire family will be using this doctor for all of their eye care in the future. This was such a helpful visit, dr Krueger helped me understand some of the potential causes of my instestinal problems. We wanted together to create plan for testing and treating current problems. Her concern and caring , her listening. And responding skills were very reassuring. I am greatly pleased with my visit today. Kim was very caring and thoughtful. Phenomenal surgeon. I have told all my friends to go to doctor Siegal and we all love him. Is this Review about Herrick SIEGEL helpful to you? Dr Roth saw me for continued uterine bleeding after a uterine ablasion by another doctor and urinary incontinence. Dr Roth was very thorough and the first doctor to suggest and follow through with hormone testing. I feel confident recommending Dr. Roth to other women who may be searching for a doctor to care for them. 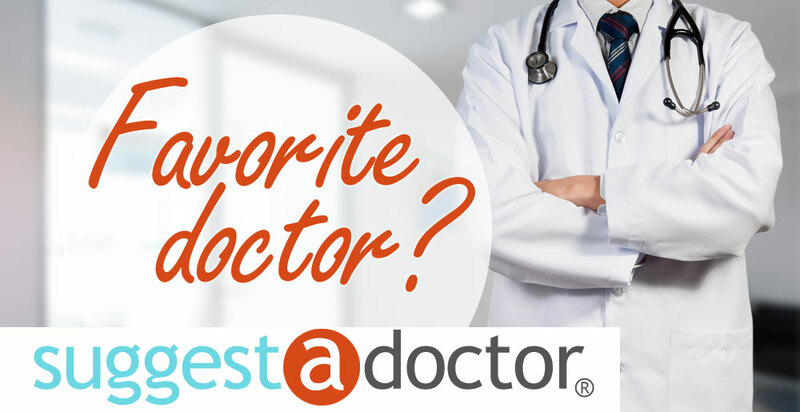 The doctor who recommended Dr. Roth to me told me he was one of the best around for my needed hysterectomy. He got to the root of my problem quickly and resolved it. Is this Review about Ted ROTH helpful to you? Dr. Taras is the best! He is the most caring and attentive doctor I have ever had. He helped me tremendously with menopause symptoms, and worked with me every step of the way to find the right treatment to address all my issues. With Dr. Taras, you are always a partner in your own health care. He takes as much time as necessary to address concerns during office visits, and answers all emailed questions promptly. I can't recommend Dr. Taras highly enough!!! Doctor Furr will be performing my partial hysterectomy on Friday. His office is super helpful in preparing for surgery. He is going to check for endometriosis as well. He believes that there is genetic predisposition for Endo and that it is super important rhar you are comfortable with your health decisions. He very often performs endo/adeno surgeries. I would definitely check him out! Is this Review about Robert FURR helpful to you? The Doctor is LGBTQ Friendly and I had a positive experience.